The book is designed on “teach-yourself” technique which enables students to learn faster. 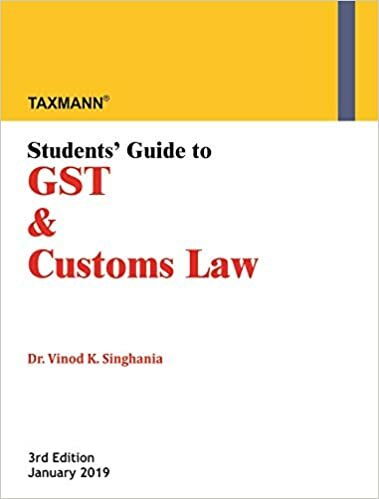 While the law relating to GST has been discussed thoroughly, the discussion on customs law is also comprehensively dealt with. Each para (with a distinct number) starts with analytical discussion supported by well-thought out original problems. A unique style of illustrating all complex provisions has been adopted. Theoretical discussion is suitably supplemented by problems/ illustrations (over 300 in number). These problems/illustrations have hitherto neither been posed in any examination paper nor are these to be found in print anywhere. Every solved problem is followed by an unsolved exercise. Answers to unsolved exercises are given at the end of book in Appendix. The law stated in this book is as amended up to January 11, 2019.